We have learned from historians that In every movement for African American liberation, non-African Americans have played key roles, including: Anti-slavery advocates during the abolitionist movement; heroes of the under ground rail road who provided food, shelter and transportation, politicians who voted to end slavery, participants in the Modern Civil Rights movement including Goodman and Schwermer who along with Chaney traveled to Mississippi as Freedom Riders and were Murdered. President Johnson also made an important contribution when he signed civil rights and voting rights legislation in the 1960's. Another important figure in the passing of that legislation was Illinois Senator Edward Dirksen. The history of Recovery in African American communities also reveals a number of non-African Americans who have made important contributions to African American Recovery. See the inaugural list below. We invite you to share additional names to add to the list. For over 5 decades the stigma of African Americans addicted to heroin remained astronomically high. Media images increased this stigma worldwide and store owners within African American communities further exacerbated this stigma by putting metal bars on their doors and windows. As store owners declared, "We have to keep dope fiends from breaking in." In addition,the church didn't help by calling them "sinners." Seeking recovery within methadone clinics seemed to further increase the stigma. It seemed that everyone had a stigmatizing opinion, "They're just trading one drug for another," "Methadone is worse than heroin," "You're not in recovery if you take methadone!" As a community, we are grateful to Lisa Mojer-Torres (2011) for decades of advocacy on the efficacy of medication assisted recovery. The book co-authored with William White, Recovery-Oriented Methadone Maintenance offers scientifically defensible proof that methadone maintenance is a legitimate pathway of recovery. While persons seeking recovery worldwide have benefited from Lisa's advocacy, I have witnessed up close the impact it has had on African American Communities. Here is one of many examples. Each September (National Recover Month) I attend a luncheon in which African Americans, whose pathway of recovery is medication assisted are honored along with the staff who help them (the staff were also historically stigmatized). Thank you. 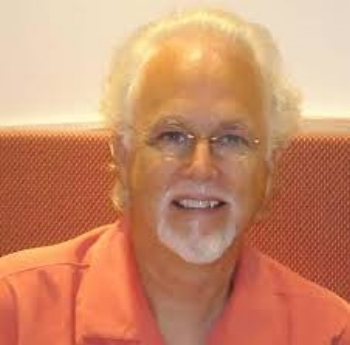 William White is the most recognized historian in the addictions, treatment and recovery fields. His collection of historical data on the history of addictions, treatment and recovery among African Americans played an important role in the development of this museum. He co-authored a number of articles featured in the museum and contributed hundreds of hours of interviews with African American Leaders featured in the Leadership Interview Exhibit. William donated his book collection on African American History to the museum. The books are now a library for African Americans with substance use disorders who are transitioning from prison. Thank you William. Don Coyhis is the founder of White Bison, a National Recovery Movement which has helped Native American Tribes achieve 50 to 70% recovery rates. The White Bison Native American Wellbriety Movement has influenced recovery in African American communities by highlighting the importance of: healing historical trauma; intergenerational recovery; a return to culture in recovery and the importance of the "healing Forest" ( viewing the entire community as the treatment center). Dr. Bob and Bill W.
The mutual aid group developed by the co-founders of Alcoholics Anonymous Bill W. and Doctor Bob has been a major pathway of recovery foe African Americans. We are thankful to Lois Wilson, the founder of Alanon. Along with the church, Alanon has been a major source of support for family members of African Americans seeking recovery. Glenn C. Played a major role of capturing the stories of African American participation in AA in his book Heroes of Early Black AA. His book offers proof that peer based recovery support is important for African Americans. Click here to read the book. Thank you Glenn. Tom McGovern is the editor of Alcoholism Treatment Quarterly. Volume 30, Number 3 (July-September) edition of the journal was the first and only addictions journal volume completely dedicated to patterns of recovery from substance use disorders in African American Communities. The Authors of all 12 articles featured in the journal are African American. Also a first. The special edition was published as a book in 2014 entitled Substance Use Disorders in African American Communities: Prevention, Treatment and Recovery. Thank you Tom for your vision.